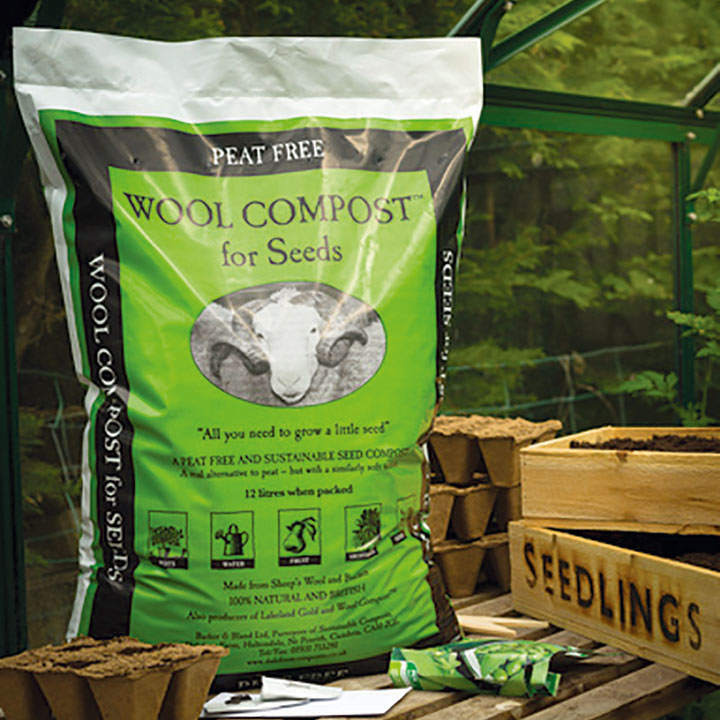 This special blend of composted bracken and wool has a soft texture similar to peat and excellent water retention properties. Suitable for seeds of all sizes, it has been shown to promote germination, healthy seedling growth and essential root-ball development. Made in the UK from sustainable, natural ingredients. 12 litre bag.